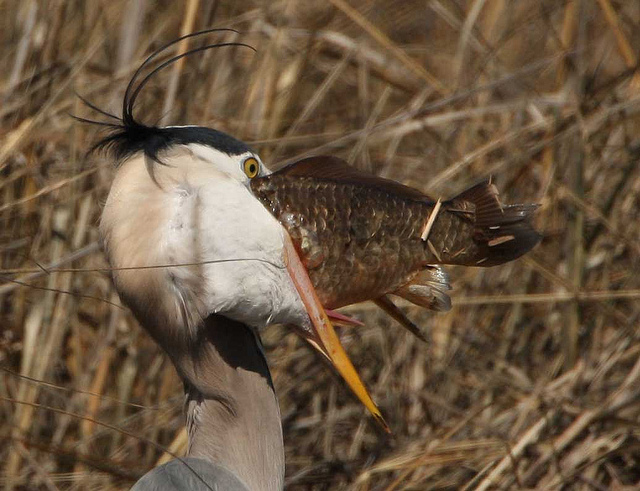 This entry was posted in Birds, Birdwatching, Christian and tagged Amazing, Creation, God's Provision, Great Blue Heron, Home School, Nature, Photography, Swallowing Food, YouTube. Bookmark the permalink. Almost unbelievable! It reminded me of how some folks strain to swallow evolutionary thinking — the theory is so awkward that it’s hard to swallow (in light of the mythological assumptions and how they clash with real-world facts), yet many try and try and try until they convince themselves that they are biochemical accident as that somehow can think, yet they attribute their thinking to an unobserved (i.e.,, imaginary) explosion gazillions of years ago, that somehow produced accident after lucky accident after impossible accident, to produce humans. Talk about straining to swallow a camel (while they same folks will strain out little factoid gnats when arguing about other topics.)! 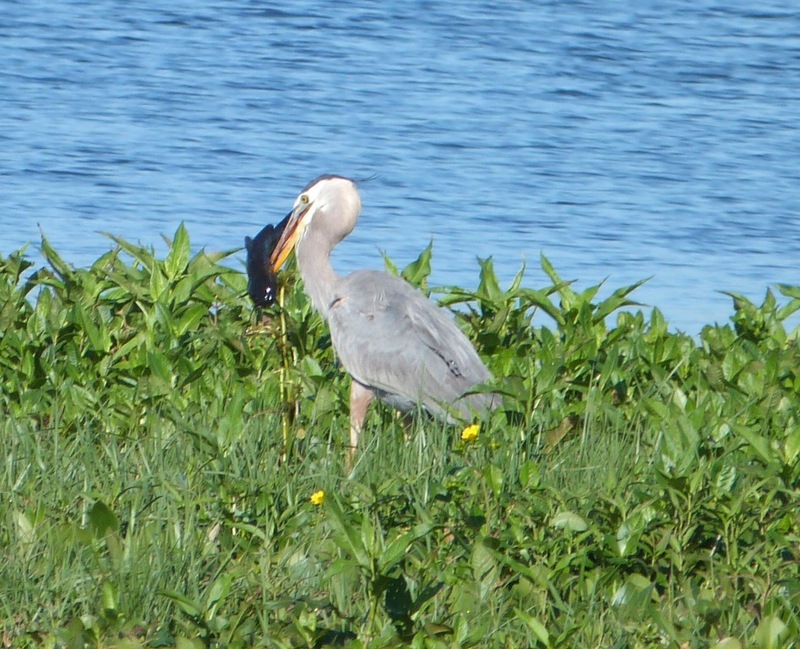 Meanwhile, look at how God has created and constructed the heron so that it can successfully ingest a huge fish, for its nourishment — another example of what it takes to be fruitful, multiply, and fill the earth. Thanks, Lee! Great analogy of what evolutionist swallow as truth. Also, it is always nice to see how God provides for his creation, even though I am not so sure that that Heron pushed the envelope a bit.